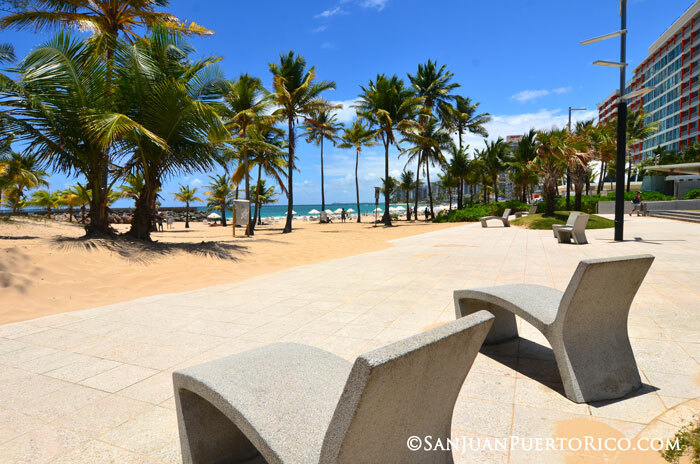 Right on the trendy stretch of Condado, you can enjoy the “window to the sea” park, an urban beachfront oasis with tropical allure by day and vibrant at night with frequent live music events. A popular event is Ventana al Jazz, the last Sunday of every month from 5 (ish) til around 10pm; be sure to bring a blanket, your favorite drink and enjoy the free show at the “window to the sea”. Ventana al Mar offers the perfect entry to the beautiful beach of Condado. Right across on Ashford Avenue, you’ll find luxury clothing and jewelry shops, and you can get some pampering time at the spa. The park features a fun fountain great for kids to play (you too, if you don’t mind getting a little wet). Right along the park you’ll find cafes enjoyed by tourists and locals including the All-American delicious Ben & Jerry’s ice cream with freshly baked waffle cones. Right across the streets, you’ll find various high end shops. Walk out to the concrete deck and take in the views of the blue Atlantic waters. Relax your mind listening to the waves crashing against the rocks. Ventana al Mar and Ashford Drive is very popular for those that enjoy exercising. Feel free to bring your exercise clothes and join in. 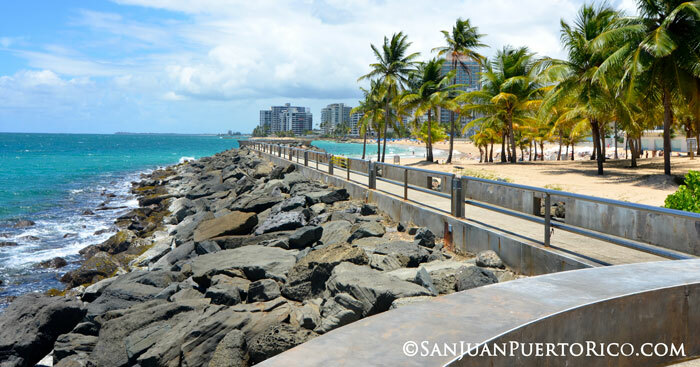 Questions about your future visit to San Juan & Puerto Rico?